and did it in the rain. 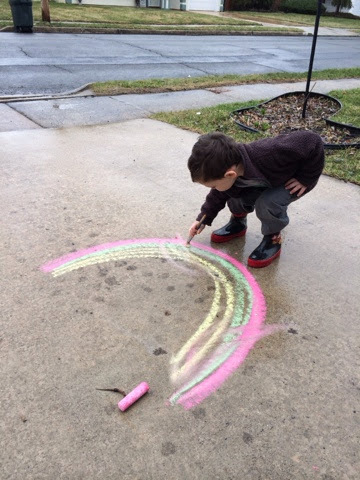 Who knew that a little water could make sidewalk chalk so brilliant and bright! The water with the chalk made a nice pasty consistency that worked really well with a paintbrush. Mack smudged the lines of our drawings and played with a little color mixing. We also discovered that the chalk becomes very brittle when wet. We put some pieces of chalk in a puddle and jumped on them! 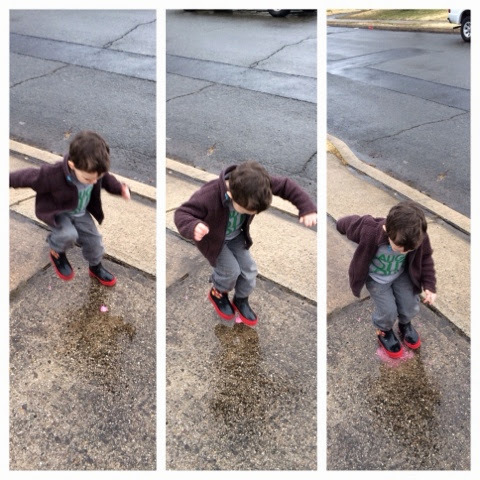 Mack absolutely loves jumping in puddles (that’s my boy) so this was an automatic hit. And another nice way to explore color mixing! He reported to me that the pink and yellow mixed together made an orange color. I love watching him explore the world around him. 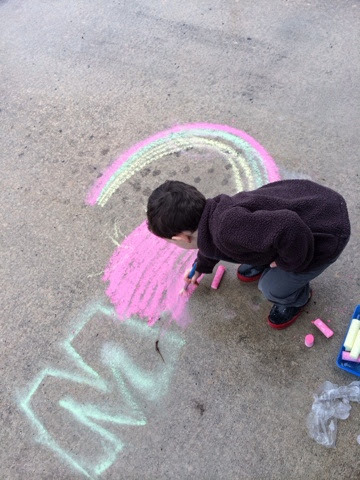 There is so much fun to be had with sidewalk chalk! 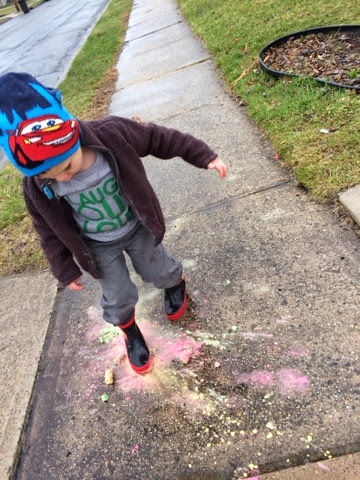 Try homemade chalk, exploding chalk (super fun!) or these sidewalk chalk games. 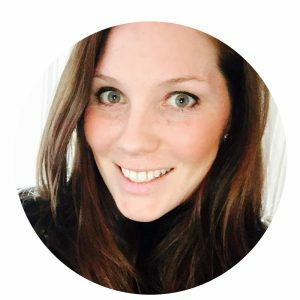 Also check out my Outdoor Fun board on Pinterest!